FromSoftware's latest adventure mixes things up with a fresh setting and new mechanics, but the studio's legacy remains intact. Sekiro: Shadows Die Twice is unmistakably the work of FromSoftware. It tells a story about the curse of eternal life and how loyalty can break the chains of a man bound by mortality. Fans will recognise many of the game's systems from the developer's previous projects, while a similar range of elements have been twisted or rearranged to lend this latest work from the Dark Souls creator that which is most precious of all - its own soul. 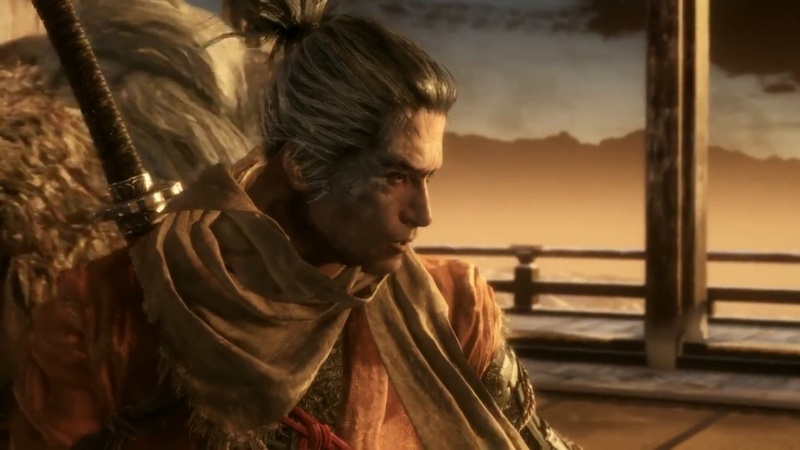 In Sekiro: Shadows Die Twice we play a nameless, yet powerful shinobi often referred to as Wolf. A foreign nation longs for the power that is believed to come from within the venerable bloodline of our empire. Young Lord Kuro is the heir to this legacy and during the game's opening act we failed to protect him from these foreign invaders. According to the iron shinobi code, we must make amends and free our master from captivity, seeking revenge on his behalf by cutting through hordes of soldiers and twisted enemies drawn from Japanese folklore. 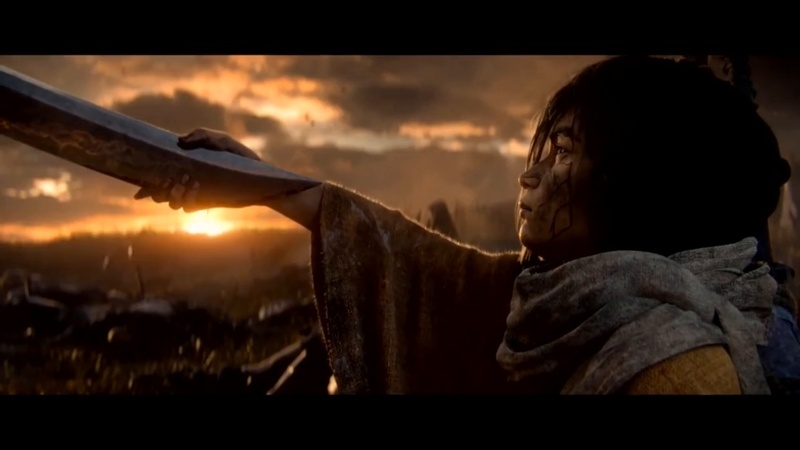 What would have been a sufficient storyline in the previous games by the developer is only the prelude of Sekiro's spiritual adventure about the indomitable will of a legendary swordsman. While defending his master, however, Wolf was mortally wounded and lost his left arm in the process. A mysterious old man, therefore, drags him from the plundered battlefield and replaces his lost limb with a mechanical prosthetic, allowing us to resume our unfinished business. That handy replacement can be enhanced with all sorts of useful shinobi tools, such as an axe to smash wooden shields and a flame attack designed to damage certain enemies, although their usage is limited, similar to how Bloodborne's quicksilver bullets work. In a way, this mechanic replaces the complex class system of the older Soulsborne titles, as character progression here is much more straightforward and offers little variation in terms of customisation options - despite the newly introduced skill trees. A more obvious change to FromSoftware's Souls formula can be found in the stealth gameplay. The one-armed Wolf hides in the tall grass, hangs from ledges, or hugs walls in order to avoid the vacant stare of his adversaries. When we get ourselves close enough to our targets, we can strike from the shadows with a critical killing blow. Most enemies die instantly from this brutal attack, so it becomes very handy when prioritising enemies and thinning the herd. The stealth mechanics are crude and simple, but it's up to us to see if and how we make use of them. Stealth offers many benefits but can also be completely ignored. Also, the path of the blade will always catch up with our hero. Sekiro replaces From's well-known endurance mechanic by implementing a system that is focussed around a character's posture. Our attacks are no longer trying to whittle away at the health bar of a foe, rather they're intended to make an adversary falter and open up for an attack. The game heavily punishes any mistakes - both yours and those of your enemies - with the deadly precision of a samurai. To succeed we must use the momentum of an enemy attack and counter blows accordingly. Sword and lance stab-attacks, for example, require different reactions to sweeping strikes, which usually have a wider effect radius. On the other hand, we can't defend ourselves against attempts to grab us, so our only option is to avoid the foe by sidestepping out of reach. It's important to weigh which attacks you can withstand and when it makes sense to avoid a danger zone entirely. At the same time, we mustn't give our rival any time to breathe, as their posture slowly regenerates over time. The more experienced samurai and murderous beasts we face over the course of the game show little respect to our lighter attacks, and a single death blow won't be enough to defeat such dangerous opponents. Only those who can recognise attack patterns and learn to make use of them will emerge victorious from battle - this has never been truer, even in a Souls game. To keep up the speed and finesse of these bloody dances is as challenging as it is rewarding. Most interestingly, the high-level battles don't usually last too long as the winner can often be determined after a short, intense exchange of blows. The young Lord Kuro is the heir to a venerable bloodline renowned for its legendary powers. Many battles can be simplified or even bypassed completely with appropriate preparation and patience. If you run head-first into a trap you may want to make a tactical retreat to higher ground and think through your remaining options while the pack of enemies below is cooling down. The strengthened freedom of movement allows for such tactics because our shinobi arm is equipped with a most useful grappling hook, allowing us to swiftly change position on the battlefield. Sekiro's vast movement options and the game's architecture modelled on Japanese temples and fortresses results in an astonishing vertical adventure (which is particularly noticeable in the latter half of the game). Of course, Japanese rooftops and streets are the focal points of our attention, but this design is mixed up with a bunch of unexpected ideas. Dynamic boss battles, platforming sections, and cleverly hidden secrets underpin the wealth and range of ideas the studio is known for. All this makes Sekiro: Shadows Die Twice a pleasantly surprising video game, especially for people who did not like Dark Souls III's heavy-hearted reliance on past adventures. Less surprising are Sekiro's high-quality production values, and that's across both the visuals and the audio. The game manages to draw a coherent picture of a mystical Japan, showing off some really nice scenery. The somewhat down-to-earth character design may not be the studio's best work, but FromSoftware made up for it in terms of animations and with the shinobi tools and their associated special effects. Additionally, the brutally exaggerated finisher sequences caught our eye, once more demonstrating the incredible power of some of history's mightiest swordsmen. On the PlayStation 4 Pro we played the game on for the purposes of this review we noticed only a few minor flaws, with slightly long but ultimately acceptable loading times, but when capturing gameplay the GRTV team noticed some minor problems with the PC version. In 2015, Miyazaki and his team tried to break the Souls formula with Bloodborne, but they didn't go far enough. Sekiro combines the relentless behaviour of Bloodborne's murderous hunters on their beast hunt with the superhuman abilities of the legendary samurai, and the sheer presence and power of these warriors make Sekiro's sense of play feel unique even within the confines of FromSoftware's past works. Its intense battles are embraced by the story and the feudal setting, which lovingly blends everything together. Despite many bold and exciting changes, the studio's distinctive signature style is preserved and Sekiro: Shadows Die Twice stands as another challenging and rewarding adventure. Stylish interpretation of the Japanese feudal setting, Dominating opponents in combat is exhilarating, Feels surprisingly varied, Stealth options and revival help players get a grip on things. Common class system is gone, Hardly any character customisation possible, Skill system seems like an unnecessary bonus incentive.